Free Delivery. Always. Lowest Prices. Guaranteed. We are expanding, your address might be the next. How would you like 9lb box of healthy, delicious fruit and veg for $9? No Fees, No Fluff. You pay absolutely nothing for delivery, thanks to revolutionary distribution system. The price is a bargain for you since we sell produce marked as surplus by our partners. 9lb for $9. Say "Goodbye" to costly deliveries and long trips to a shop. Just pickup from nearby C-KIOSK whenever suits you. If you care about the planet feel proud that we source surplus produce that would have been thrown out for NO REASON. Our innovative and efficient delivery system means that every time you order you are helping the environment. Each Fruit & Veg Box contains enough produce to meet your weekly recommendation of 7 servings per day. Do you feel you’re getting enough fruit and vegetables in your diet? Canada’s food guide recommends 7 servings of fruit and veg every day. But a lot of Canadian’s fail to reach that goal. There’s the hassle of buying produce. But more importantly, there’s the problem of cost. If you’ve ever been walking down the shopping aisle and found yourself shaking your head at the prices – you’re not alone. A third of Canadians eat less produce because of the cost. 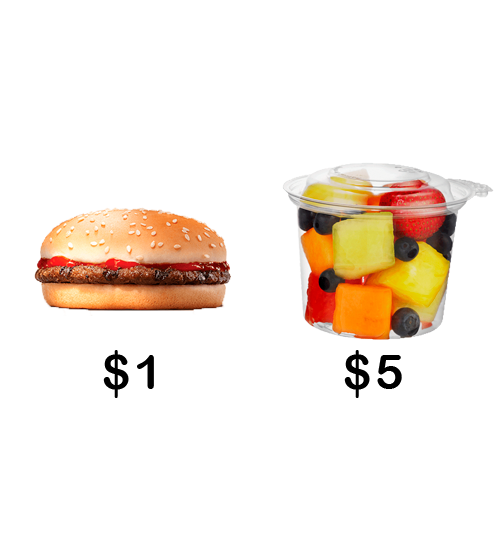 And we eat more cheap, junk food that contributes directly to diabetes, obesity, high cholesterol, depression and the list goes on. Signup and subscribe to your Fruit & Veg Box plan. During checkout, select a convenient C-KIOSK smart locker location near you. Once your box is delivered to the C-KIOSK, you'll receive an email/SMS notification with a unique pick-up code and location. Pick-up when you want. No lines, no waiting, no driving, no tipping. Just fresh and delicious produce for one unbeatable price. Our vision: Convenient and affordable access to nutritious produce for everyone. As a single working mom, I don't have a lot of free time and my budget is limited – to say the least. We simply can’t afford to get fresh produce often. C-KIOSK has changed everything. Being able to order fresh produce on a shoestring budget is a blessing. I love my weekly Fruit & Veg Box! As a student, I rely on convenient sources of food – which means a lot of unhealthy junk. 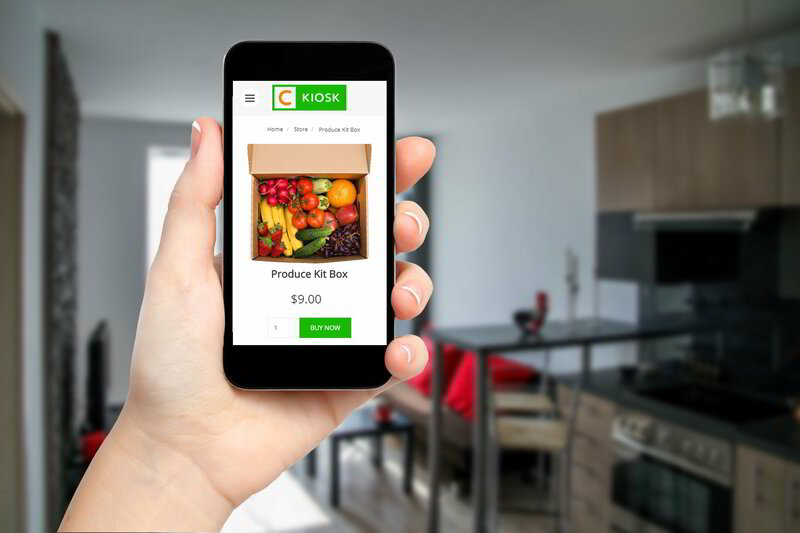 C-KIOSK has changed all that – now it’s as easy and affordable to get healthy fruit and veggies as it is to get convenience store food. Being able to help to reduce food waste at the same time is the perfect cherry on top.